FB fan Maria asked SC where did Mo’Nique get her silver ruched dress that she wore to this year’s Academy Award nominations. Well Maria, Besides wearing shaved legs Mo’Nique is wearing a Tadashi Shoji laced ruched dress from the Spring/Summer 2011 collection. This chic dress retails between $300-$400. Below is the black version to Mo’Niques dress, the sleeveless version, and last years sequin longer sleeve version. Something for everyone. All Tadashi Shoji dresses can be purchased at Saks, Neiman Marcus, and Bloomingdales. It always takes a curvy girl to show you that a dress isn’t supposed to just hang on your body like a mannequin. 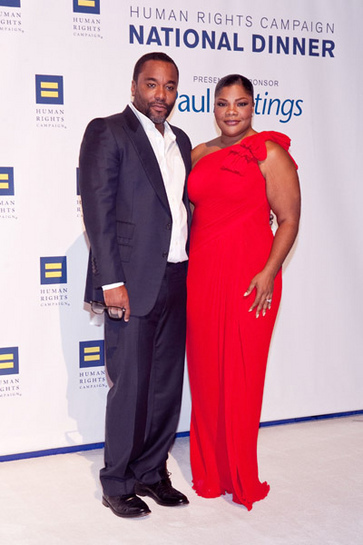 Oscar winner Mo’Nique was a showstopper in red at the Human Rights Campaign 14th Annual Dinner this week. Mo’Nique was photographed wearing this beautiful red one shoulder dress by none other that curvy girl favorite Tadashi Shoji. If you have an upcoming event that requires you to look this flawless and gorgeous then you’re in luck this red number is from Tadashi’s Fall collection is currently available. Get The Look! >Today’s curvy girl style battle is a good one. We have Raven Symone (yes, again) and Mo’Nique. Two curvaceous women who recently lost a few pounds in their waist on ya (in my best Missy Elliott voice). 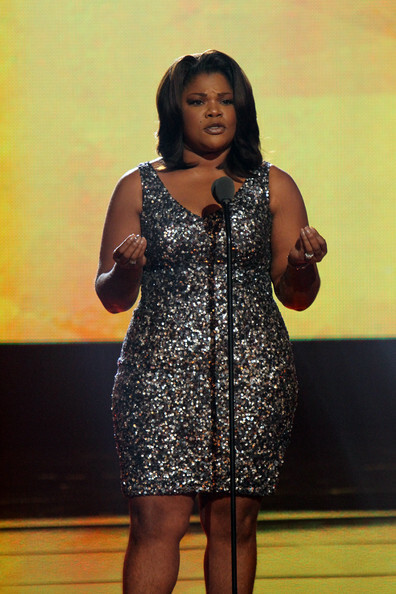 While on hiatus after sweeping last years award season from her role as the angry abusive mother in Precious. Mo’Nique emerges for the BET Hip Hop awards as host looking stunning in a v-neck sequin mini dress. Due to an abundance of black Hollywood parties and events Raven Symone has been showing off her new style and commanding attention on the red carpet. This weekend Raven was spotted wearing a metallic cutout mini dress and black open toe sandals. So, SC wants to know which curvy girl wins this style battle. 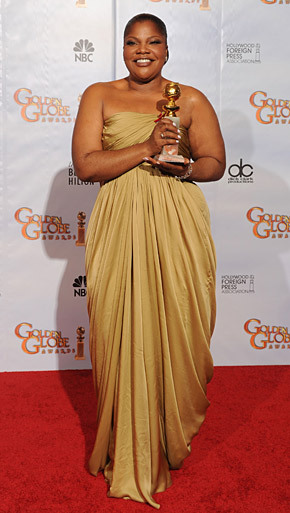 >At last nights Golden Globe awards, comedian Mo’Nique won the golden globe for best supporting actress in the movie Precious. This is a great moment in history. What a month for curvy girls! Let’s keep doing big things.